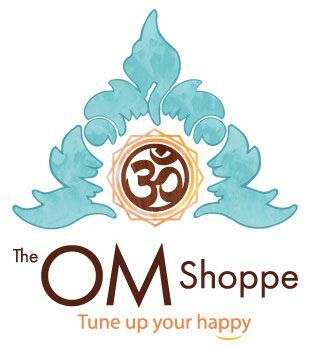 The OM Shoppe offers a wide variety of frosted crystal singing bowls, clear crystal singing practitioner bowls, tibetan singing bowls & various vibrational medicine tools. All Singing Crystal Bowls from The OM Shoppe are made of the finest, 99.99% pure quartz. Our Singing Bowls are available in various sizes and notes for immediate shipping or local pick-up. All of our Tibetan and crystal singing bowls include FREE shipping within the contiguous United States. Everything in the universe, in its most basic form, is composed of energy. As such, everything has a natural frequency vibration. Energy, light, atoms, molecules, and even our planet are vibrating at specific frequencies are thus producing “sound”. This includes every living cell in our bodies as well as the energy centers of our bodies, known as Chakra centers. Just like a musical instrument that emits sound, our chakras and our cells can either be in tune or out of tune. Every cell and chakra center is naturally tuned to maintain well being and health. But physical, mental and environmental factors can interfere and cause these vibrations to go out of tune and into a state of imbalance. Crystal Singing Bowls are tuned to the body’s Chakra centers so, much like a tuning fork causes resonance to adjacent objects, when played, they help tune chakra centers to resonate in their proper, natural state. In doing so, they allow for the free flow of energy throughout the body, mind and spirit. Each chakra center represents an essential essence of consciousness. The Crystal Singing Bowl notes C,D,E,F,G,A and B correspond with the seven major chakras. The additional notes C sharp, F sharp, G sharp and A sharp correspond to the 5 subtle body chakras: the Om Chakra, the High Sacral Chakra, the Thymus/High Heart Chakra, the Zeal/Soul Chakra and the Pineal/Soul Star Chakra, respectively. What about size? Bowl size is more about preference than anything else. Each person has their own unique preferences when it comes to harmonics and tone. The size of the bowl does not alter its abilities or effects. Not sure where to start? Call us! We’d love to help you select the perfect bowl for you.